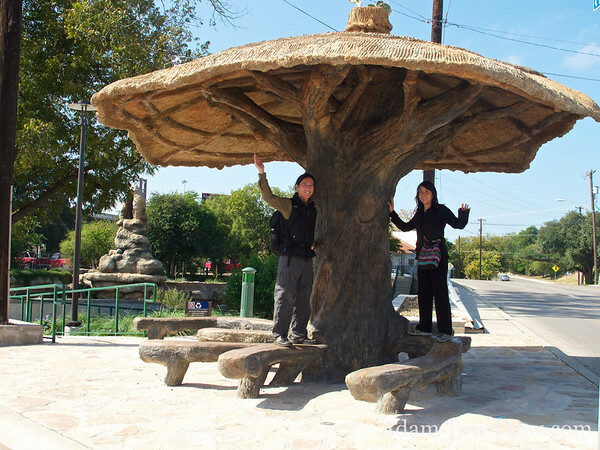 Next stop on our Texas tour was Austin College, located in Sherman, a small town about an hour north of Dallas. Driving there from Texas A&M took 4 hours, passing by several other small towns along the way, including Hearne – home of John Randle, Hall of Fame NFL Player, according to the giant billboard greeting us on the side of the road. Football is big in Texas, and even the small towns take great pride in their local heroes! 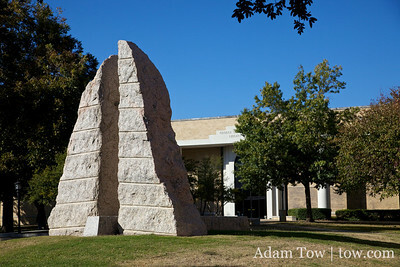 Austin College is a private liberal arts schools with about 1350 students. 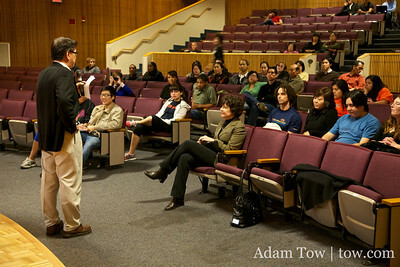 We were greeted upon our arrival by Scott Langton, Professor of Japanese, who gave us a tour of the campus. We visited the Jordan Family Language House, a residential hall “specifically designed to encourage the study of foreign languages (Chinese, French, German, Japanese and Spanish).” Students speak entirely in their chosen language and practice with native speaker residents. One of the hallways was labeled La Maison Française, which reminded Adam of his senior year house. 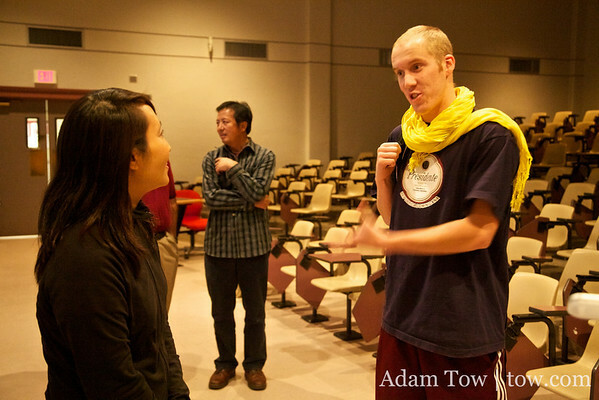 As the theme associate for the French House, Adam organized wine and cheese nights and French classes for the residents. Fun times indeed! 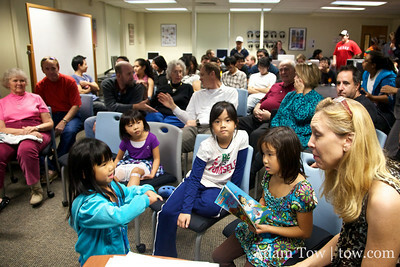 Our screening that evening had a good mix of students and community members. Afterwards we had a great conversation with the Colombo family and their four children from China. 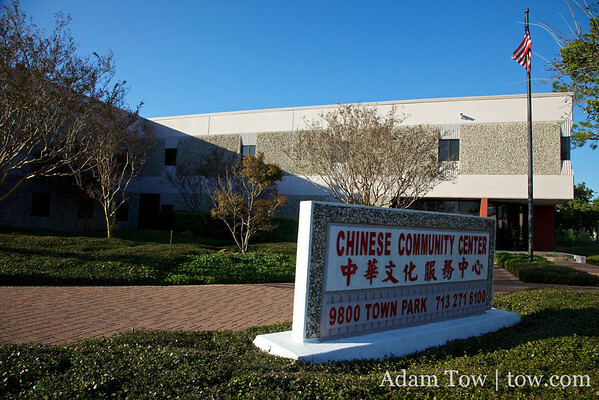 Apparently the Dallas-Fort Worth area has a sizeable number of families with adopted children from China, and there are various programs and services that cater to them. My sister May adopted their daughter Abby from China 2 years ago, and they participate in similar programs out in Colorado.